Hearing aids are a large investment in your lifestyle, and we know this is a huge decision. The question of pricing is best answered by your audiologist, whom you will be working with closely regarding your hearing healthcare. Below, we will cover anything that will impact pricing. We begin with diagnostic hearing testing. This test may include oto-acoustic emissions, tympanograms, pure-tone air and bone conduction, and speech recognition. If you have health insurance, we will file the diagnostic codes with your insurance. Any copays listed for a specialist will be due on the day of testing. If you already have an audiogram completed within the past 6 moths by a licensed audiologist, there is no need to repeat the test unless you feel a change has occurred in your hearing. The audiologist will go over the results of the audiogram with you, and make a recommendation for hearing aids. This recommendation is based on your hearing loss and your lifestyle. Once the aids and colors have been determined, we will schedule a day for you to come back in and have the aids fitted. In addition, we will schedule two follow up appointments within your 30-day period. The final day of your hearing aid trial, the total cost of the hearing aids will be due. On the day of fitting, we will do the initial fit, which is an exciting day. The hearing aids are programmed based on your hearing loss and you will be counseled on how to use and care for the aids. Once the one hour appointment is finished, we will collect a non-refundable $250 fitting fee. This 30- day trial period is the perfect time for you to evaluate the benefit of the hearing aids. It is important to note that hearing aids take some time for your brain to adjust. The purpose of these follow up visits post-fitting is to fine tune the aids so that you are hearing comfortably and clearly, and answer any questions you may have. Should you feel the hearing aids are not beneficial, we will either try different kinds of aids, or you may return the aids within the trial period. You can anticipate a new model of hearing aids to cost roughly $1200 to $3200 per device. It is important to remember that follow up care is included in a two year warranty period. 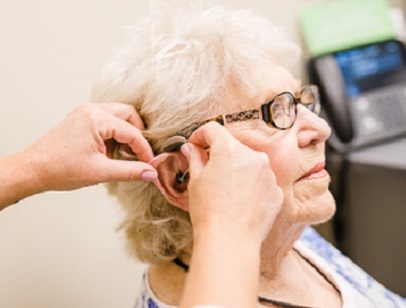 This means your hearing aid cleanings, visits with the audiologist, and any repairs completed in our on-site lab are included under your warranty. Please note: there several places that will send you off with a pair of hearing aids you may have spent a large amount of money for, and will charge you adjustments and maintenance fees. We are happy to be included in your better hearing journey. Please call our office during office hours at 918-745-9052 for more information.